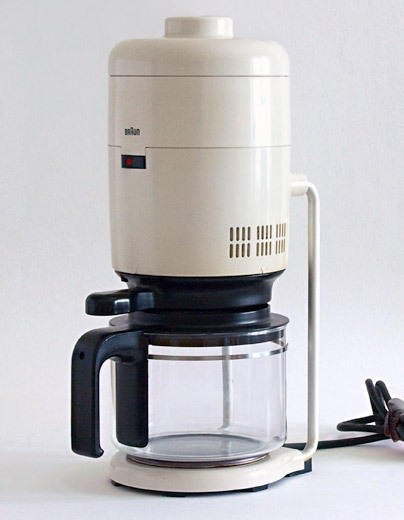 I love this coffee maker designed by Florian Seiffert for Braun in 1972. It has a retro-futuristic charm to it, similar in some ways to the classic Moccamaster or Technivorm. Unlike the Technivorm (which makes great coffee), this design is no longer made and you can only find one if you scour Ebay regularly or purchase from a gallery, where it typically goes for about $300. I can’t say whether it’s any good at temperature stability and actually making coffee, but at least you can live in a moment of ’70s sci-fi fantasy while you drink it. 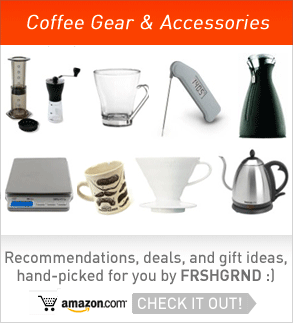 The KF 21 is a remarkable column of a coffee filter machine. Its vertically aligned elements are stacked so that it resembles a water tower. Like a water tower, its formal character is governed by the principle of gravity. Yet the dramatically cantilevered reservoir and filter at the same time seemingly defy gravity. And this tension, between the stringent formal delineation of function and its undercutting, is symptomatic of a more general crisis within Braun design of the late ’60s and early ’70s. Quoted above is an excerpt from an interesting piece on the place of the KF 20 series in Braun’s declining design program, and in terms of the history of Functionalism in industrial design more generally. You can read more about that over at Das Programm. 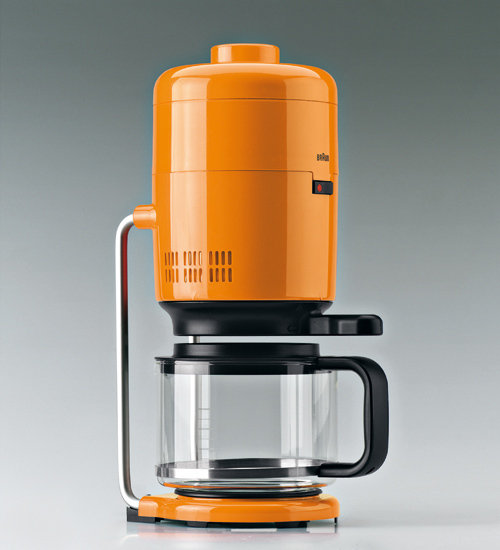 Where can I buy this Braun coffee maker in yellow or white in Washington DC, USA. How many cups?